Saskatoon shoppers only have one day left to find bargain deals at Sears. After 65 years of business, the retailer will close all 130 of its Canadian stores by the end of Monday, including its Midtown Plaza location in Saskatoon. Sears is the second largest tenant at Midtown Plaza, clocking in at 160,000 square feet. That puts it behind only The Bay, which occupies 180,000 square feet. Plans for the vacant space have yet to be announced. Williams thinks the space is likely to be subdivided by multiple businesses, like a gym, office space and coffee shop. In a statement sent to CTV News in October, the general manager of Midtown Plaza said it’s too early to tell what will fill the soon-to-be vacant space. "Our thoughts are with all the Sears employees affected by this announcement. 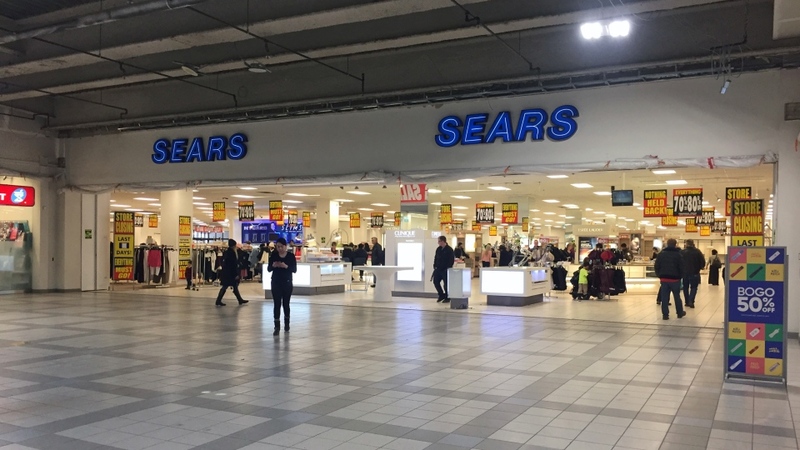 It's way too early to speculate or comment on what might happen with the Sears space," said Terry Napper, general manager of Midtown Plaza. Colliers vice-president Keith Webb said it’s likely the owner of Midtown does have tenants in mind. “I wouldn’t be surprised if they already have those all lined up,” Webb said, adding that Zara, H&M and Forever 21 would be good suitors to take over the spot. Sears Canada went into court protection in June 2017 and began liquidating its stores the following October after it failed to find a buyer. The company was dogged by poor publicity for the remainder of the year because of the treatment of its employees, and an investigation into liquidators jacking up prices at the retail giant. Monday’s closure of Sears stores will result in the loss of 12,000 jobs across the country, three-quarters of which are part-time positions. The demise of Sears was named the Canadian Press' top business story of the year.